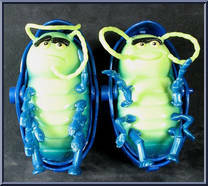 Introducing Tuck & Roll… twin Hungarian pill bugs known for their acrobatic feats. These sensational stars of the Bug Circus will take your breath away as they perform daring acts on their spider web trampoline! Contribute pictures, update details or suggest corrections for Tuck & Roll. Write a review about Tuck & Roll.